More than 150 academics, intellectuals and writers, including Nobel Laureate JM Coetzee, have backed a new report by the Oxford Centre for Animal Ethics that condemns experiments on animals as both morally and scientifically indefensible. See Normalising the Unthinkable: The Ethics of Using Animals in Research, Executive Summary (PDF). The deliberate and routine abuse of innocent, sentient animals involving harm, pain, suffering, stressful confinement, manipulation, trade, and death should be unthinkable. Yet animal experimentation is just that: the ‘normalisation of the unthinkable’. 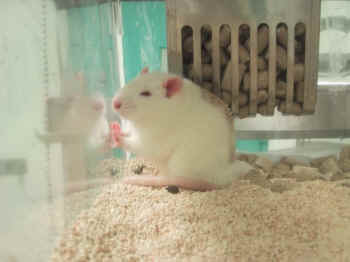 It is estimated that 115.3 million animals are used in experiments worldwide per annum. In terms of harm, pain, suffering, and death, this constitutes one of the major moral issues of our time. The report concludes that experimenting on animals flies in the face of what we now know about animals’ ability to experience not only pain but also shock, fear, foreboding, trauma, anxiety, stress, distress, anticipation and terror. The report was commissioned by the British Union for the Abolition of Vivisection (BUAV) and Cruelty Free International as an independent ethical review, and members of the working party are keen to point out that BUAV in no way influenced its conclusions. The moral arguments in favour of animal testing really don’t hold water”, says University of Oxford theology professor Andrew Linzey, co-editor of the report, which, at 50,000 words, is one of the most comprehensive critiques of animal experiments ever published. “We have looked at the central arguments in official reports and found them wanting. If any of them were morally valid, they would also justify experiments on human beings. Other signatories to the report include Dr Jonathan Balcombe, Dr Marc Bekoff, Dr John P Gluck, Dr Lori Marino and Dr Jeffrey Moussaieff Masson. The report’s release comes as PETA fight to end cruel chemical testing on animals – more than 800,000 animals have died so far because of the world’s largest chemical testing programme, and the European Ombudsman agrees with us that more needs to be done to reduce this staggering death toll. In addition, the European Commission still permit cosmetics ingredients to be tested on animals, which flies in the face of the EU cosmetics testing ban; Air France continue to ship terrified monkeys to laboratories around the world; the Ministry of Defence continue to stab, shoot and blow up pigs in military trauma training exercises; millions of animals are still being imprisoned in UK laboratories, where they are poisoned, cut open, blinded, electrocuted or infected with deadly diseases; and the government failed to ban pointless tests on animals for household product ingredients.